This coming Monday, 4 August, will be our Hawaiian Shirt Night. No special reason but that it’s usually hot and who doesn’t love exotic drinks and girls in grass skirts! 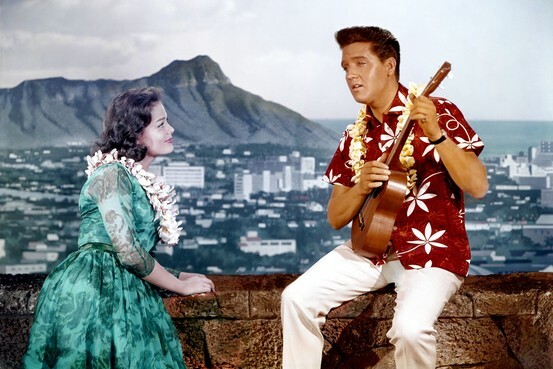 Break out your favourite Hawaiian shirt, Bermuda shorts, grass skirt, grab a lei and come on down for drinks and song! 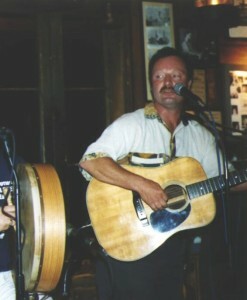 Don’t forget that Cliff is singing down at Scottish Dave’s in Clinton THIS THURSDAY the 31st of July. And Himself will be going into hospital for a procedure that will keep him from doing much singing for about 6 weeks, so don’t miss these opportunities to hear the man for yourself for the rest of the summer! Also – two recent blog articles that include a healthy recollection of enjoying Monday night with us! – Rachel Siegel, and – Jesse Swimm. This entry was posted in Uncategorized on 29/07/2014 by JosMorn. HAPPY BIRTHDAY to our man and founding band member PAUL ELLIOTT!! The man turns 21 or something on Monday the 21st – Pop on over to his YouTube page and send him some B-day greetings and send some likes to his vids! If anybody asks, you can tell ’em, er… that Joe sent ya! This entry was posted in Uncategorized on 20/07/2014 by JosMorn. So this next Thursday the 17th, Rick and Joseph will be playing as LongSplice a short walk down from the Gris and at the Connecticut River Museum, 5:30 to 7:30p, out on the dock (weather permitting) or inside the building as required. There’s a 5$ cover charge for non-members which supports the cause, and a small cash bar. We really hope you’ll make it down and support us! 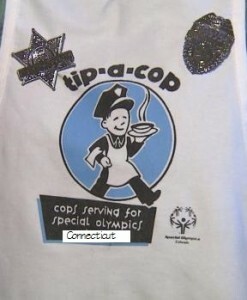 Next Monday the 21st will be the annual “Tip-A-Cop” night in which police officers act as servers with tips to be funneled to the Special Olympics; In the tap-room during our breaks they will hold a raffle with many and sundry cool stuff to be given off. This entry was posted in Uncategorized on 15/07/2014 by JosMorn. This coming Monday will the 14th – and that will be the 225th anniversary of the public storming of the prison La Bastille. 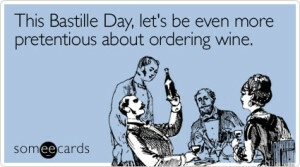 While it is indeed a French national holiday and celebrated by most Francophones around the world, it is also an event commemorating the freeing of those oppressed from those who abuse their power. Vive la Liberté! Come drink down some of the Gris’ wine selection… Even if we prefer beer and ale! 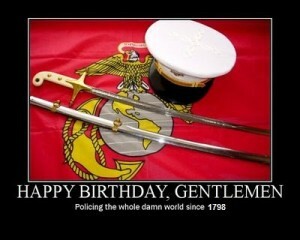 And today – the 11th of July, is the 216 anniversary of the REAL birthday for the United States Marine Corps by act of Congress and signed by then President John Adams, in order to man the newly built and launched ships for the new US Navy (1794 for the commencement of the ship building) to fight the French in what was to be known as the Quasi-War, and to fight the problems with the Barbary Pirates of the north coast of Africa; in both cases, our ships, men, and cargo were adversely affected until the brave and stout men of the US Navy and US Marine Corps handled the job! The earlier Marines were Continental and individual states’ Marines, all of which had been disbanded at the conclusion of our War for Independence. This entry was posted in Uncategorized on 11/07/2014 by JosMorn.